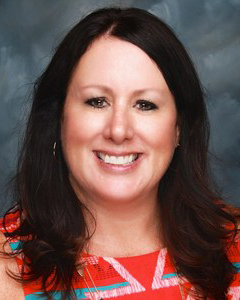 Julie Munoz is a native Texan in her 20th year of teaching. She has been teaching at PVHS since 2002. Julie is passionate about education and enjoys working with students. She is the Director of the Science Research Program at PVHS and also piloted and has led the Galapagos Science Research program since 2004. Julie is an alumni of the University of North Texas where she earned a Bachelor of Science degree in Biology and her Master’s degree is in Educational Technology. She lives in Redondo Beach with her husband Billy and son Levi.